Green River gives your family plenty of space and amenities, both in private retreats and shared spaces. 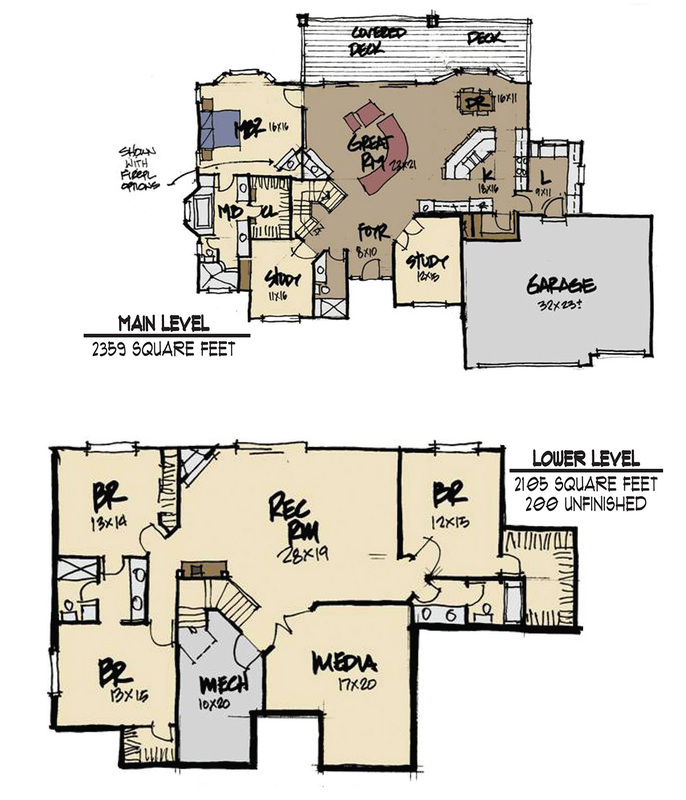 The main level master suite is roomy with a large spa-like bathroom, and the additional bedrooms on the lower level also feature large closets. With two studies on the main level, the lower level is dedicated to fun, with a rec room for activities and exercise and a separate media room for screening your favorite films. The main level is open and breezy with a gourmet kitchen and expansive great room facing a covered deck.